Manhattan, NY (March 23, 2019) – Police confirmed that one person was injured in a serious high rise building fire around 12:45 a.m. in the early hours of March 22nd. 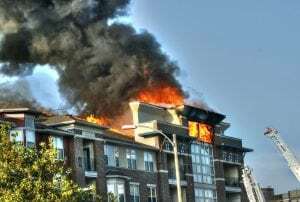 The fire, which involved a high voltage vault, happened in the basement of a 46-story building and quickly began to spread throughout the high rise. The fire blazed out of control until firefighters were able to successfully put it out. One victim was transported by EMS to an area hospital with injuries but they are expected to recover. Various engines were requested to the scene of the fire. The investigation into the fire continues at this time. We understand how difficult it can be to face the aftermath of a serious fire event in New York, which is why we would like to take this time to extend our sincere sympathies to those affected by this horrific incident. We also want to take a moment to offer our gratitude to the firefighters who put their lives on the line to assist those in these fires. Many fires occur in New York every year and they are among some of the most devastating incidents that can affect someone. Following a serious fire event in New York, it is imperative that you work with an accident attorney who is well-versed in these cases and can help you protect your rights during this difficult time. At Hach & Rose, our accident attorneys realize that there are few things that are more difficult than dealing with the aftermath of a fire and we wish to be there for you 24/7 when you need us most. Please contact us today at 212-779-0057 for more information on how we can help.